« I’m Sorry…My Kids Don’t Believe in the Easter Bunny. Ran across a post on Facebook this morning that really grabbed my attention. I’ve seen it, or those like it, many times, but this morning it just struck me as so sad. I know it was meant to be “funny”, but often times it’s more true than we realize, and when you sit and give it some consideration… it should be very un-funny to Christ Followers. The ONLY one that our attitude should depend on is Jesus Christ. Think of the power that’s handed over to people if we allow them to control our attitude! 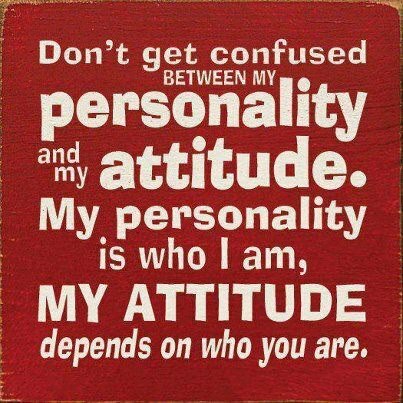 I don’t know about you, but I feel that my attitude is more important than that and should never be handed over to just anyone. Jesus, my Savior, should be ruler over my attitude. I pray that the next time someone upsets me, hurts my feelings, makes me angry, annoyed, or whatever else, that my attitude stays under the control of the One I follow – my Savior, my Lord and Master, Jesus Christ.